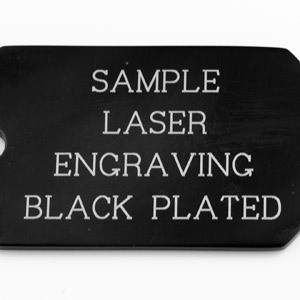 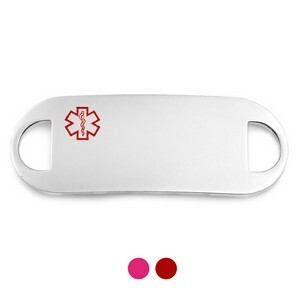 These stainless steel, red or pink medical ID tags can be engraved with medical and contact information in case of emergency. 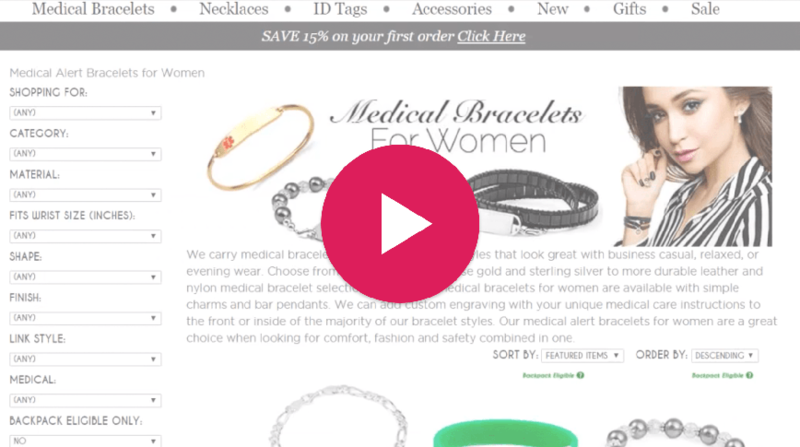 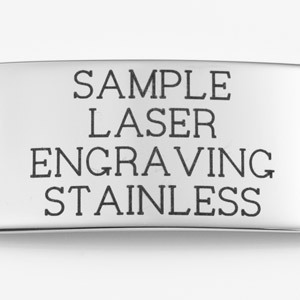 Medical alert bracelet options for this tag will appear on next page once you add item to cart. 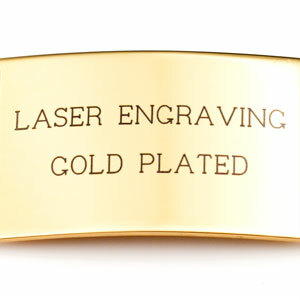 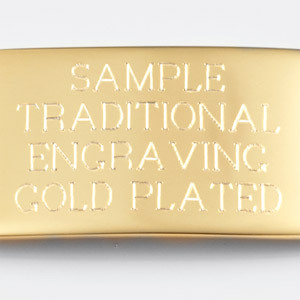 When adding to a bracelet, please remember to add the length of the plaque 1 5/8 inch to the length of the bracelet to achieve the total length desired. 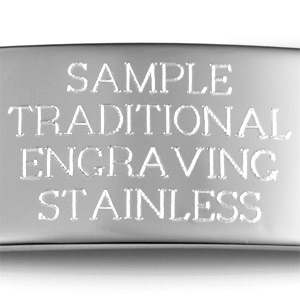 Up to 6 lines of 27 characters each, including spaces!